This dish is inspired by Andy Rea, the chef behind the ever popular Mourne Seafood. I dined in their city centre restaurant a couple of months ago and was served a 'Paella' made with orzo. I'll admit to being initially sceptical when seeing it on the menu but my intrigue proved too much to not order. 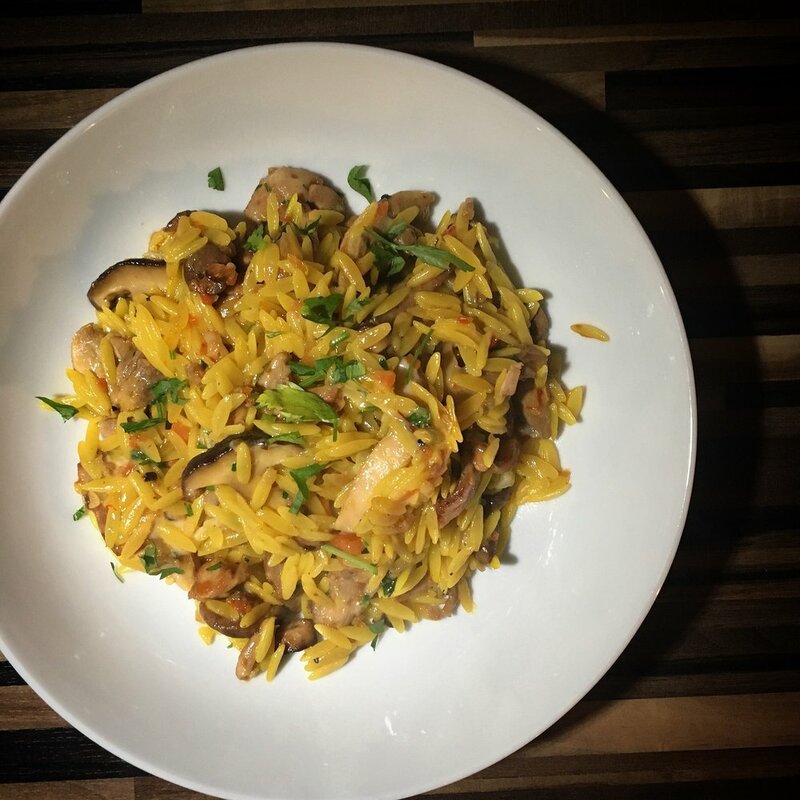 The orzo provided a lighter and more delicate consistency compared to the traditional paella rice while still capable of carrying saffrons pungent flavour. So this dish is a bit of a nod to the orzo paella but with my own twist. 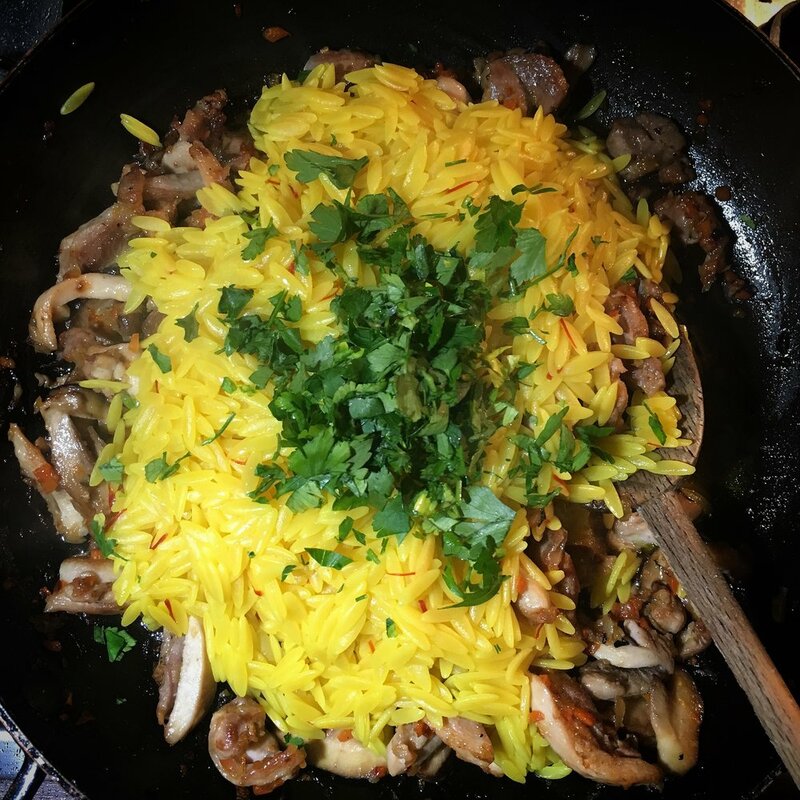 I didn't want to make another paella (see my previous traditional version here) but was keen to combine the orzo with saffron, paying homage to Andy's dish. As with the majority of my dishes it's simple and quick to prepare while packing bold flavours. Before you begin to cook boil a kettle of water so you ready to cook the pasta when needed. 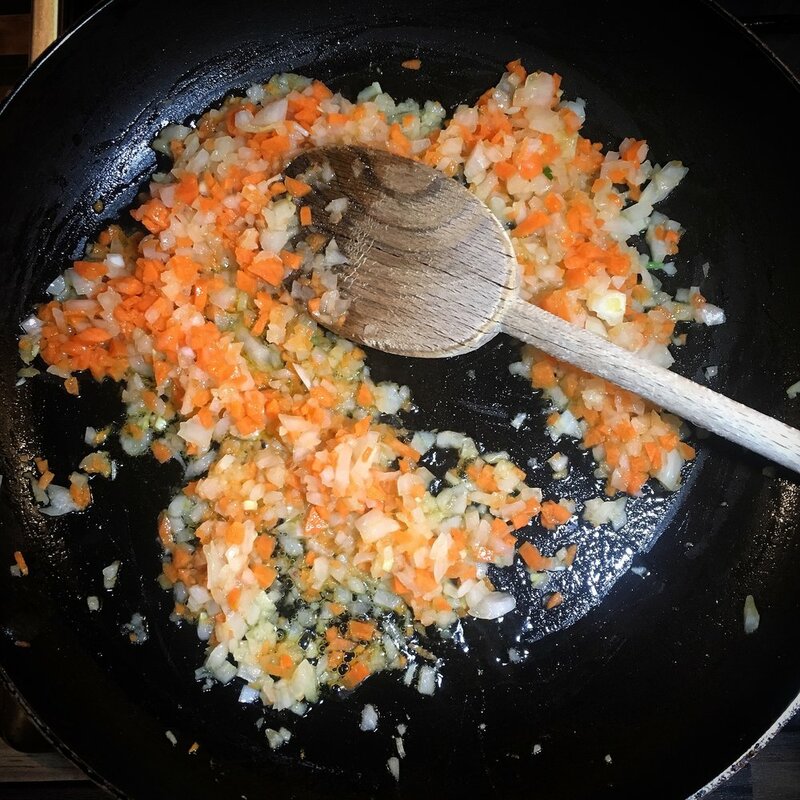 After this initial step, the first stage is to make a flavour base for the dish by finely chopping the carrot and onion then frying with a drizzle of olive oil on low heat until the onion is translucent and the carrot is soft. This is similar to a mirepoix but without the celery. Next, add the Orzo to a pot of salted water along with a pinch of saffron and cook per packet instructions, around 8 minutes. After 6-7 minutes of frying the carrot and onion add the shiitake mushrooms and continue to fry for a further 4 minutes. Remove the contents of the pan into a dish and set aside while you cook the chicken. Finely slice the chicken thighs and place in the piping hot pan along with a little olive oil. Brown the chicken then re-add the carrot and onion back to the pan and mix well. Once the pasta is cooked al dente drain well and add to the pan along with the chicken and shiitake mushrooms. Finish the dish by adding some freshly chopped parsley and a couple of twists of cracked black pepper.